Before adjourning, the House, as expected, approved a trio of bills – known collectively as Tax Cuts 2.0 – that would permanently extend the temporary tax cuts for individuals, passthrough entities, and estates that were enacted in last year’s tax legislation, as well as provide new incentives to promote retirement and “family” savings and encourage the formation of start-up businesses. The Protecting Family and Small Business Tax Cuts Act of 2018 (H.R. 6760), which passed on September 28 by a vote of 220-191, would make permanent provisions from the 2017 tax law such as the lower individual income tax rates, the higher standard deduction, the increased and modified child tax credit, the increased exemption and phase-out threshold for the individual alternative minimum tax, the increased estate and gift tax exemption, and the 20 percent deduction for certain passthrough income, all of which are currently set to expire after 2025. But it also would make permanent revenue offsets in last year’s tax law that curtailed certain deductions, credits, and incentives – most notably, the $10,000 cap on the itemized deduction for state and local taxes (SALT), which has come in for criticism from Democrats as well as some Republican lawmakers who represent constituents living in high-tax jurisdictions. Passage came largely – but not entirely – along party lines. 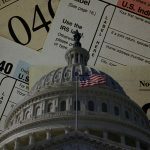 Three House Democrats crossed over to support the measure and 10 Republicans, mainly from districts that are hardest hit by the cap on the SALT deduction, cast their votes in the “no” column. The Family Savings Act of 2018 (H.R. 6757), approved on September 27 by a vote of 240-177, includes a variety of provisions aimed at making it easier for smaller businesses to offer tax-qualified retirement savings plans to their employees, encouraging individuals to participate in retirement plans, and promoting savings for nonretirement expenses. Ten Democrats broke ranks to vote in favor of the bill, no Republicans voted against it. The American Innovation Act of 2018 (H.R. 6756), also approved on September 27, includes two provisions intended to boost innovation by allowing new businesses to write off larger amounts of their costs up front as well as allowing a corporation that buys a start-up to retain some of the acquired entity’s net operating losses or other tax attributes, like research and development tax credits. The bill cleared the chamber by a vote of 260-156, with 31 Democrats joining GOP colleagues in the “yes” column. Despite their own support for permanent law, neither Senate Majority Leader Mitch McConnell (R-Ky.) nor Finance Committee Chairman Orrin Hatch (R-Utah) has publicly expressed any intention to bring up the House extension this year in the Senate.